Download Cosmetic Tube Mockup Free PSD. Today’s Freebie is highly useful for branding mockup of tube whether it is for cosmetic cream, body lotion, beauty products or any consumer related product. Changing the logos and design of Cosmetic Tube is very easy. You can update cosmetic tube design inside smart-layers. Just add your own designs and click save. You can also tweak the color of the entire mockup and background as well. Just play around and get the result you want. 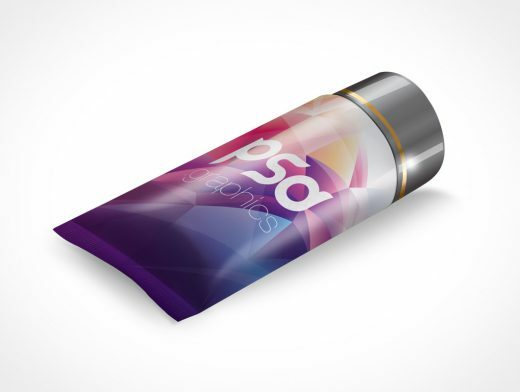 Cosmetic Tube Mockup Free PSD is absolutely Free for creating presentations and for Branding design for beauty product.